We use Clarus as they are always extremely competitive, fully engaged, committed, professional, proactive and reliable. They are a preferred contractor. 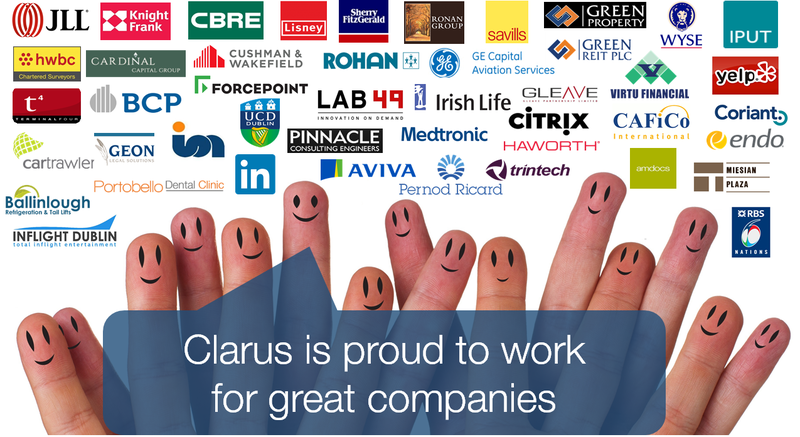 I’ve worked with Clarus for over 6 years. Totally reliable. Always forward thinking and attentive to our needs. Continuously seeking new ways to make improvements. An absolute pleasure to do business with…. Clarus has proved time and time again to have an innovative, professional and dedicated approach. It has as given IPUT the confidence to utilise their ever growing range of services for our properties. Clarus has helped us on short notice on a number of projects. We can confirm that the standard of approach, assistance and skill level within the company is excellent. They can be relied upon at all times to price the work competitively & complete to the highest standard. I found Clarus to be professional and available at all times, the ease of doing business with them was second to none and we were extremely satisfied with the quality of the end project. Their expertise and attention to detail added considerable value to the project.